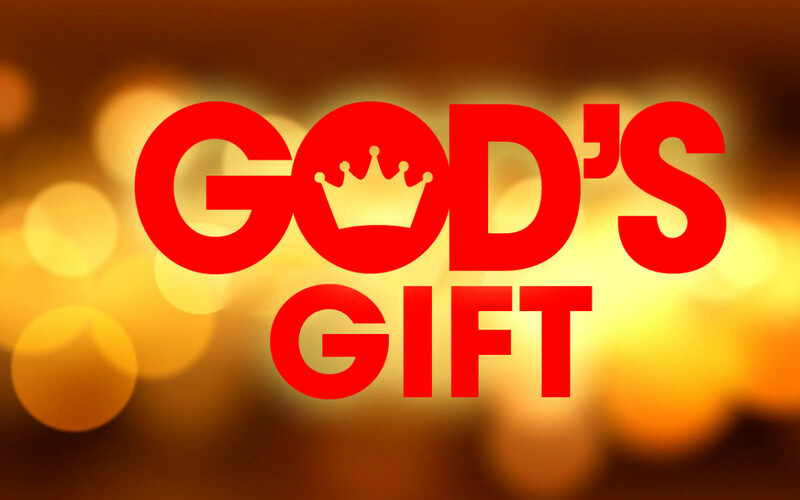 I will give you priceless gifts that no amount of silver or gold or precious stones could purchase, says the LORD. I will give you what no power can give. For I AM your GOD, and the things that I have for you are unimaginable, as you make Me your pursuit. Run toward Me and follow after Me with all of your heart. For you will never be disappointed in Me. You will never be fruitless in your efforts to please Me, says the LORD. For I will give you things that you did not ask Me for, things that you never knew even existed, things that you did not hope for and things that will go far beyond your expectations, even in Me, says the LORD. I An your exceeding, great reward, says the LORD. Those who seek ME will find ME and I will give them MORE THAN ENOUGH, for I AM EL Shaddai, the GOD of excess. I will give you what is unthinkable, unreasonable, unimaginable. For this is MY pleasure to pour out My blessings upon you that you have no room to retain. I do so that you may be a blessing to multitudes from the overflow, says the LORD. Hear Me now. For it is My good purpose and pleasure to bless My children with hidden treasures and surprise them with things that are awesome. I will provoke you to good works as I lavish My love and blessings upon you as you make Me your choice and serve Me willingly and obediently. You will be rewarded openly for your labors of love that only I saw, says the LORD, and I will give you unspeakable blessings that are beyond your greatest vision and imagination, says the LORD. Thank you lord 4 your love n blessing. Amen. Yes Lord I am you humble servant. my sesire is to follow after you eith my heart to show who you are to the world , Amen I declare all your promises are,Yes and Amen! Thank you Lord that you love to lavish your children. We praise you and lift you high! LIVE BY THE HOLY SPIRIT OF FAITH Dance to the musical tune of the sacred SCRIPTURES of GOD everyday of your short-lived human life. What is the essence and advantage of always reading, studying and meditating on GOD’s WORD of Truth without actually fulfilling and practicing it? Is it because you do not understand it? Unbelief, that is, lack of true serious Faith in GOD and uncleanness in your heart and mind are the cause of it! You see, one of the mistake that Christians make is to reject and forget the FATHER’s so very Effective Mighty Divine Power-Strength in fulfilling and practising His Undiluted Truth Message about CHRIST JESUS. Listen attentively: The so very Effective Mighty Divine Power-Strength of the FATHER is the HOLY SPIRIT. For by your weak human strength, you shall not truly prevail and succeed (1 Samuel 2:9)! The SPIRIT of the Divine GOD is the One who can make you to be so constant in prayer, praise, worship, thanksgiving and in the Holy Bible. He is the Living Person who can enable you to be very serious with GOD the FATHER and His things and Kingdom with a believing just heart — by daily walking in His so holy and righteous ways and Truths with GOD-consciousness. He is your true Helper from Above (His Heavenly Sanctuary) who is so ultimately able to empower you to live your life according to GOD’s WORD of Truth and Divine Will in total obedience (Psalms 20:2, 121:1-3; John 14:15-17). Let me tell you something: You have sinned when you chose to not trust in the HOLY SPIRIT of the Heavenly FATHER in and around you with all your heart. Likewise, you quench and grieve (upset; offend; sadden) Him when all areas of your life and everything about you are under your control and command (Ephesians 4:30; 1 Thessalonians 5:19-22). You have sinned when you chose your unholy and unrighteous ways, and when you live apart from GOD and prefer to go your own way in everything. For whatever does not proceed from and come through the HOLY SPIRIT of Faith is therefore sin (Romans 15:23, 1:16-17). Repent! Repent before it is too very late for you! Stop running and controlling and guiding your so very temporary human life! Let the LORD JESUS CHRIST have it all completely! True complete repentance is bringing all of you and your limited earthly life in subjection and alignment to GOD’s WORD of Truth and the Divine Will of the Glorious FATHER (Hebrews 12:9-10; Matthew 7:21-23). See! One of the things the LORD JESUS CHRIST can not endure is unbelief (unbelieving evil heart) (Hebrews 11:6). And it may lead you to fall away from Him and lose Him forever, unless you truly repent completely (Hebrews 3:12-15, 4:6-11; 1 Samuel 15:22-23)! In conclusion, a repentant quiet, humble and believing just heart can help you far in your personal and close relationship and fellowship with the FATHER, SON and HOLY SPIRIT (1 Peter 3:4; Isaiah 66:2; Psalms 51:17). Please allow the Still Small Divine Voice of the HOLY SPIRIT in and around you to tell you your faults (mistakes; misconducts, failings; shortcomings), and let Him convict, convince, reprove, discipline and instruct you daily and constantly. If JESUS CHRIST comes today for His holy and righteous people, will you follow Him? Be prepared! PLEASE SHARE!!! PLEASE SHARE!!! AAAAAAAMMMEENNNN and AAAAAAAMMMEENNN WOW WOOOOOOOO HOOOOOOOO THANK YOU HOLY SPIRIT. AS I BELIEVE RECEIVE AND CLAIM THIS POWERFUL WORD DECLARATION IN THE MIGHTY NAME OF JESUS HALLELUJAH HALLELUJAH AND ALL GLORY TO GOD ALONE AAAAAAAMMMEENNNN AND AAAAAAAMMMEENNNN! Yes Lord Yes💥 thank you !